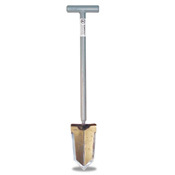 DIGGING TROWELS NOTE: All accessories are plus shipping. 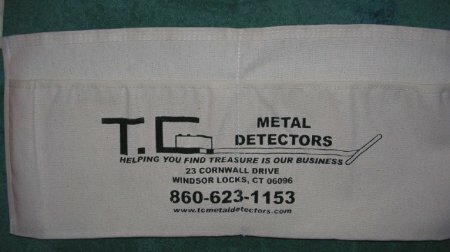 Shipping charges will be added after the order is packaged and weighed. Only actual s&h will be billed and we do our best to pack items together where possible for maximum savings. Blade is 1 7/8 X 7 inches and the overall length is 11 1/2 inches. 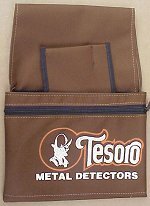 Comes with a handy codoura belt holder with plastic insert to carry the tool. 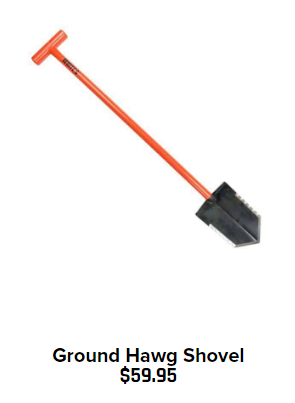 Cuts thru roots and digs through any type of ground. Blade is 2 1/8 X 7 1//2 inches. Overall length is12 inches. Handle is now yellow, easier to spot if you loose it. 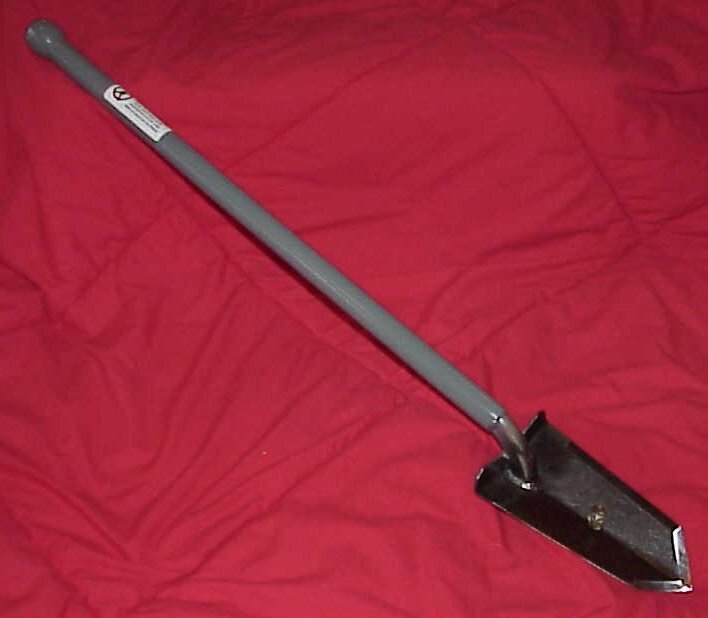 This is one of the best trowels for handling all types of ground for it's size. One of the best lightweight tools to reach down for the deeper targets, without having to keep opening the hole larger and tearing up a yard trying to get it out. Blade is 2 7/8 X 8 inches. Overall length is 22 inches. Less damage to lawns for those who learn this technique. 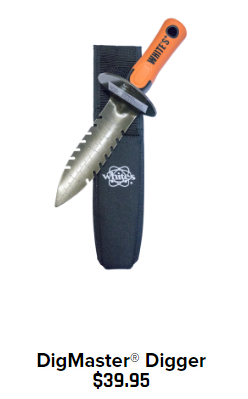 Wilcox probe is very popular with "Coin Shooters"
A super sharp digging trowel, 11" overall length, blade width is 1.5 ". A well built 12" trowel, super sharp! Very Sharp, and Very Strong Digging Knife. 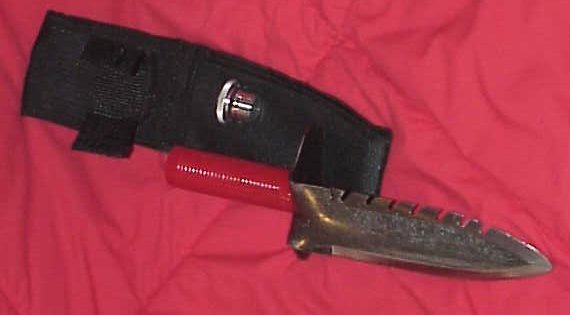 Blade is 7", and overall length is 12". Blade is 5 7/8 X 7 1/8 inches and is heat treated and tempered. The blade is 3 1/4 X 12 inches and is available in other lengths. the pick itself from top to bottom is 12 3/4 inches. of matches or similar small necessities. Blade is 5 1/4" wide by 11 1/4"
Serrated edge on one side like the other Relic Hunter Ground Sharks.